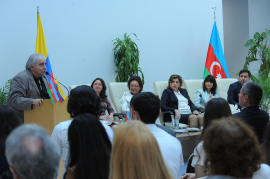 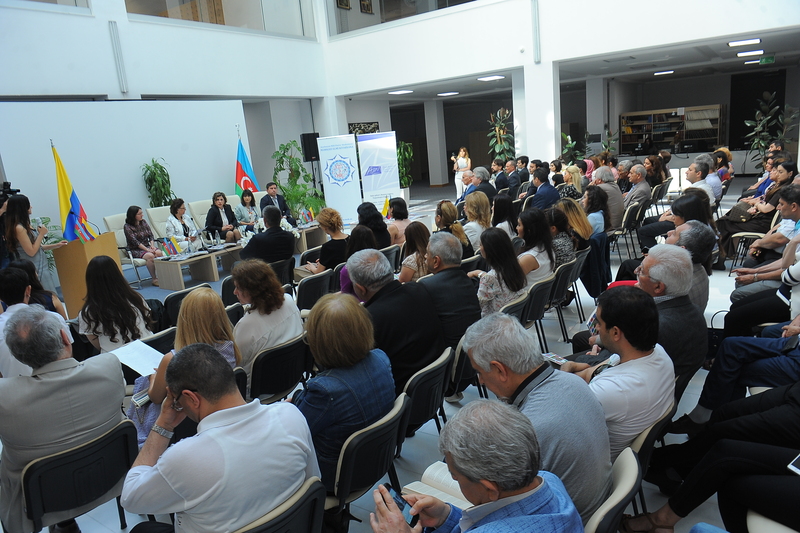 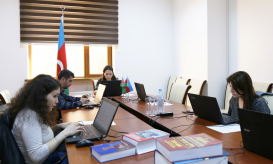 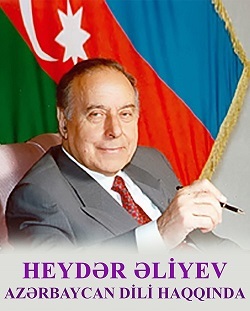 On June 13, the Translation Centre under the Cabinet of Ministers of Azerbaijan (AzTC) and the Colombian Embassy in Azerbaijan held a presentation of the book An Anthology of Azerbaijan and Colombian Poetry. The Central Library of ANAS hosted the presentation ceremony. 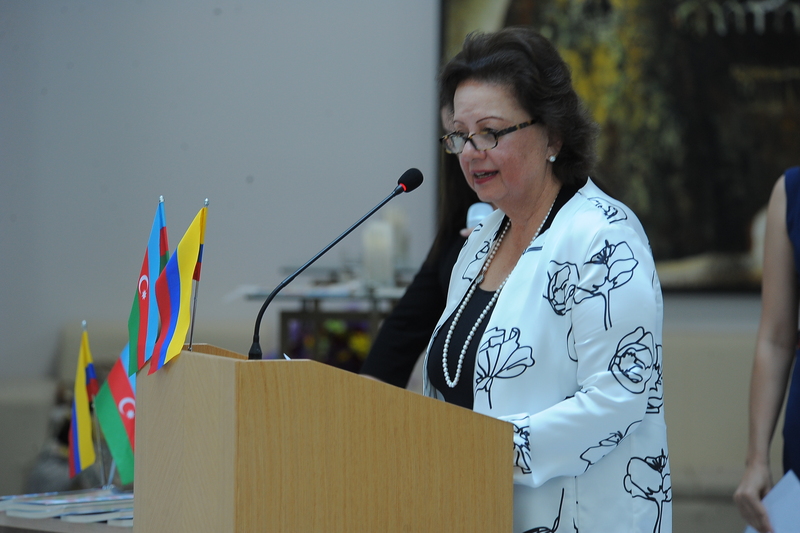 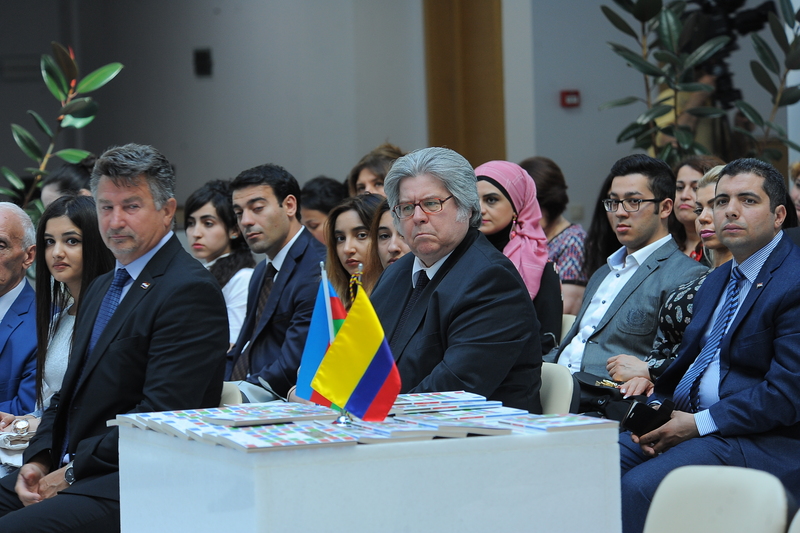 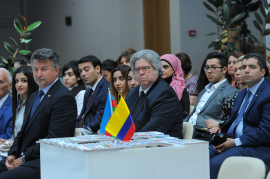 Representatives of diplomatic corps in Baku and country creative intellectuals attended the event. The Director of the Translation Centre under the Cabinet of Ministers of Azerbaijan, Afag Masud opened the ceremony and spoke about the joint projects with the Colombian Embassy. A. Masud stated: “The shortest and favourable ways of friendly relations and understanding among nations pass through literature.” She gave brief information about future projects of the AzTC in the related field. 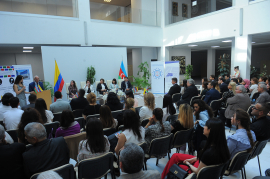 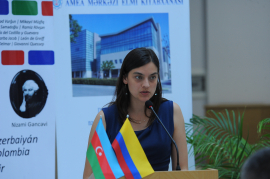 In her turn, Ms Marta Galindo Pena, Charge d'Affaires of the Embassy of Colombia to Azerbaijan thanked the AzTC and its employees for collaboration and talked about the importance of maintaining successful cooperation with the AzTC in this field in future. Outstanding scientific and literary figures talked about the influence of literature on humanity, stressing the importance of such projects in the rapprochement of countries and nations. 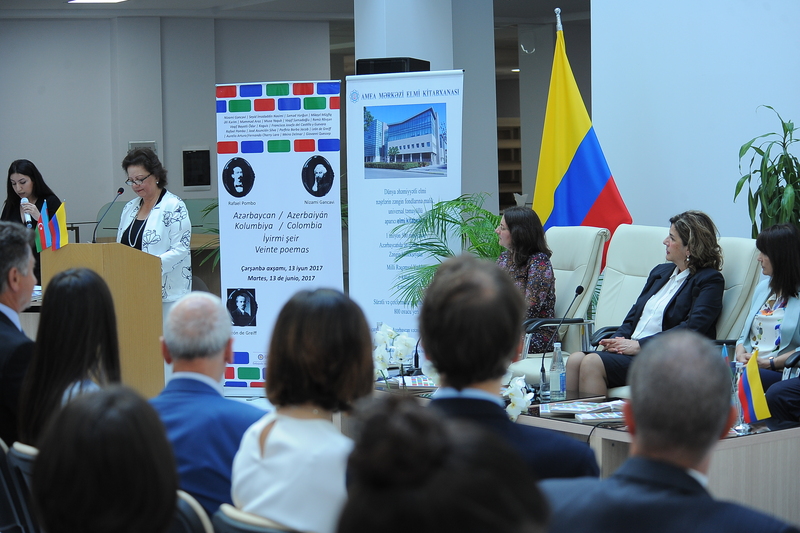 Then the floor was given to Catalina Gonzales Restrepo, a poetess from Colombia, editor of the book. 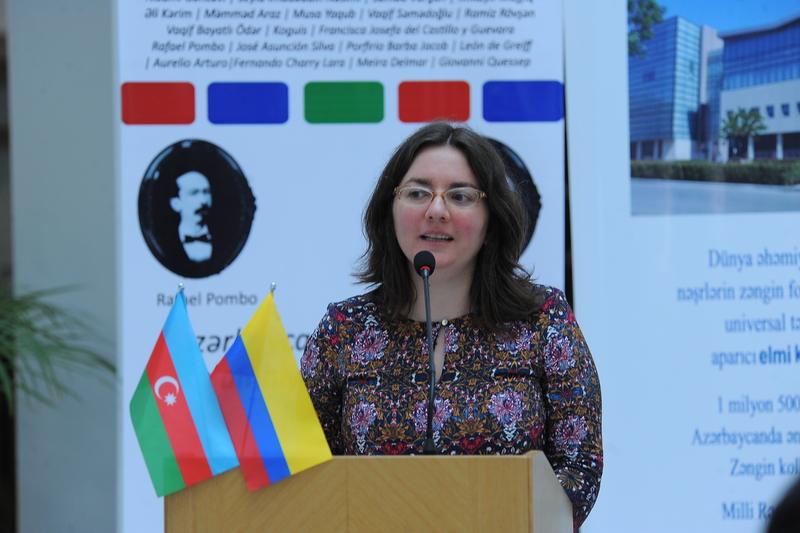 She made a speech analysing the text features of the authors included in the Anthology, and read out some pieces from the book.